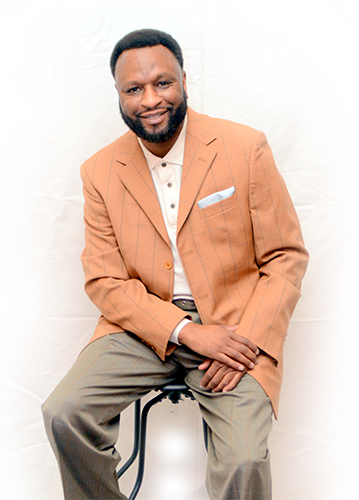 The Reverend Robert L. DeVeaux was born and raised in the Washington DC area and vicinity. The late Dr. Louis B. Jones, Sr. at the Springfield Baptist Church in Washington, DC licensed him to the gospel ministry. He is an ordained American Baptist minister who holds a Bachelor of Business Administration from Howard University in Washington, DC. a Master of Divinity from Princeton Theological Seminary in Princeton, NJ and a Master of Social Work from Rutgers University School of Social Work in New Brunswick, NJ. Reverend DeVeaux has been an Associate Minister of the Springfield Baptist Church, Washington DC. served on the Community Development Corporation (CDC) of Imani Church in Trenton, NJ; as a Chaplain at Somerset Medical Center in Somerville, NJ; an Assistant Pastor at Calvary Baptist Church in East Orange, NJ; and an interim pastor of the Glenwood Baptist Church in Glenwood, NJ. On April 1 of 2007, he was called to be the interim pastor of Humanity Baptist Church of Newark, NJ, and on March 3 of 2008, he was called to be the fourth pastor in the 57th year history of Humanity Baptist church. Reverend DeVeaux’s ministry has taken him to four continents, various countries and the Caribbean. It was in Machakos Kenya were he gained a heightened sense of ministry and service. One of the most intriguing aspects of Rev. DeVeaux’s leadership is that he believes in empowering the believers. He also partners with other leaders to empower and equip maturing members for significant service and ministry by discovering, developing, and deploying their spiritual gifts. There are few things that has attracted me. I really enjoy the connection with the community. Rev. DeVeaux has a passion for the community. We are always tied to serving the local community in some fashion. Also, I like have the personal access to my pastor; he is very approachable. Rev. DeVeaux’s really preaches the word. His messages have a way of staying with me all week long.